Developing a product and need an online platform to spread the good word about your cool business? Nexus will fit the bill perfectly! Computer software or custom guitars, Nexus will provide a beautiful landing page style website that will get your main and best points across in seconds. It’s most suitable for tech-oriented products, but with a little bit of creativity its flexibility can be spread to anything! 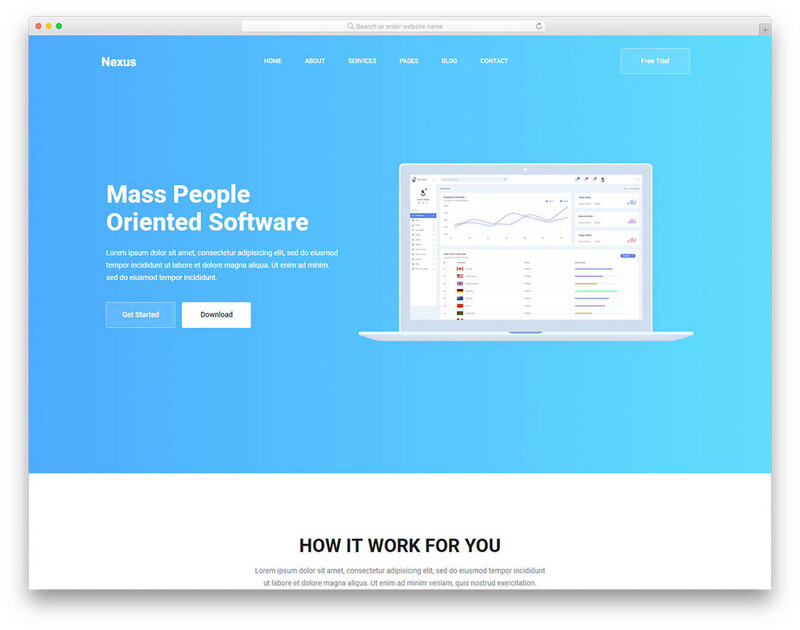 Smooth, seamless and minimalist, Nexus will provide CTA buttons, sticky navigation, pricing tables, hover animations and many other features that will make you and your product a standout! Ta tak i begrenset tidsavtale!